I mentioned in a previous post that I went to see the Alamo. 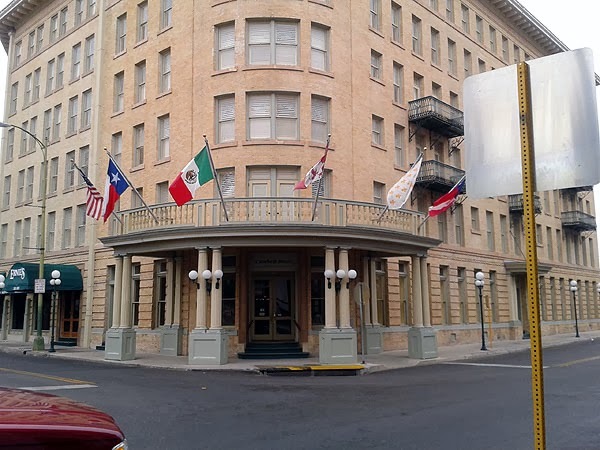 The Alamo is in the heart of the city of San Antonio and many places tie right back to, including the Crockett Hotel, as seen above. We got there and found ourselves to be in a very long line, so I took a few photos of the area. There's a pretty little fountain in here and squirrels in the tree, if you can find them. This was the facade of the large gift shop. It was packed with people, so I didn't get much of a chance to even look through it. And here we have the Alamo itself. 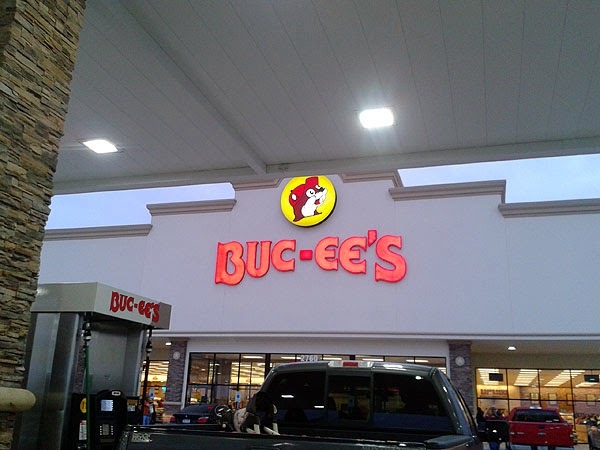 For the story of this place, I'm recommending the article here. It's an imposing structure, though not as tall as I had imagined. They had asked people not to take pictures inside out of respect, so I have no shots of the interior. 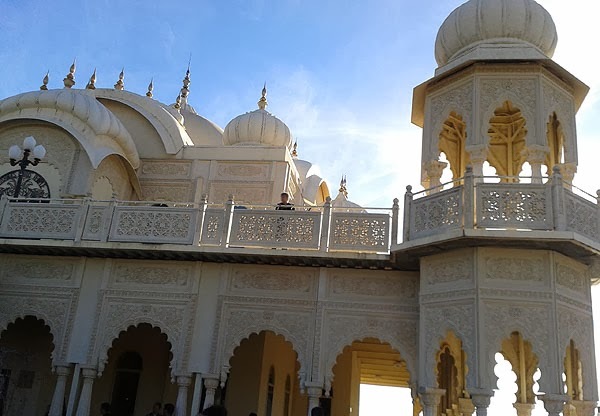 A few months back the Hare Krishna Temple had an India Fest and so we went and enjoyed the food and ambiance. The place is lovely. Enjoy the pictures. They opened up the temple for people to watch and attend services. I love the architecture of this place. There were a couple booths for henna. They were also selling a few items and crafts. Inside the temple they had a gift shop. They had a parade and chanting going on around the grounds. I might have to come for the llama festival next year. Llama yarn. I wants. Good shot of the whole place. This one was rather chatty. But, I knew better than to poke at it or get in reach. Path leading to a pond. San Antonio, Texas sits upon a river, and they developed the Riverwalk around it. After seeing the Alamo, we went and walked the riverwalk and had a nice stroll there. 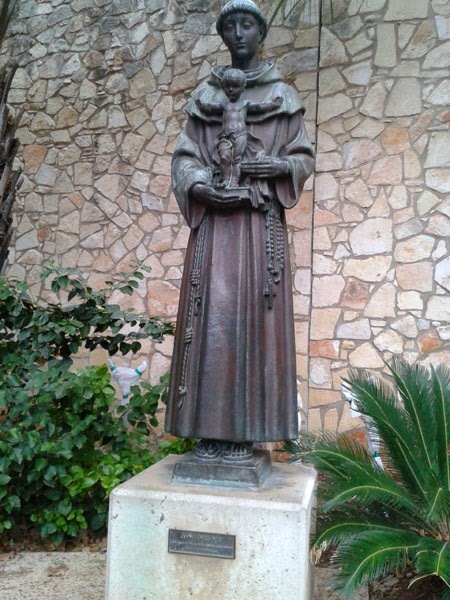 A statue of St. Antonio, for whom the city is named. They had bridges crisscrossing everywhere. This hopefully has some of the scope of the Riverwalk. I thought this was a pretty building. A church, I believe, that I saw across the river. My husband was constantly surprised that this bird was there. It's a cormorant, which he didn't think would be there as he doubted there were much fish in the water. It seems he was wrong.